Bathroom windows pose unique problems. On the one hand, they provide needed light and air to these often small rooms. On the other hand, the bathroom is one area where you definitely need privacy from the outside world! 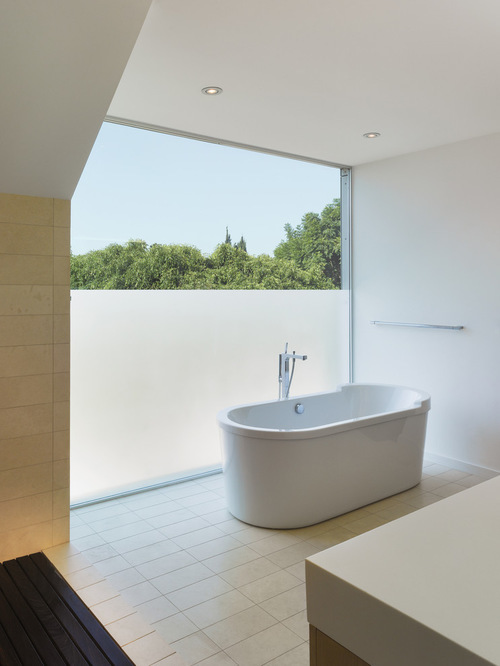 Leaving your bathroom window uncovered usually isn’t an option. In addition, bathrooms are also damp and humid, which can make decorating a challenge. A painting or framed picture on the wall can quickly start to warp, and wallpaper often begins to peel or curl. How can you add visual interest to your bathroom when these traditional decorating ideas won’t work? 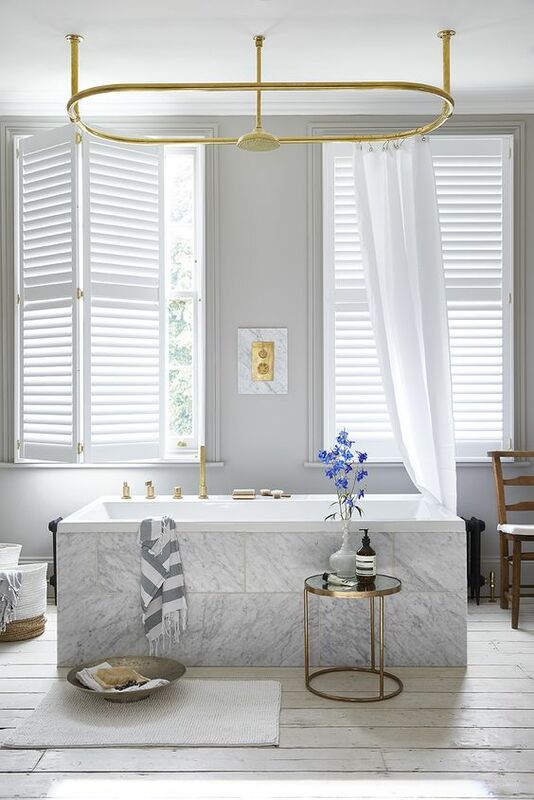 It’s tempting to go with a simple curtain over a window or to eliminate the window altogether when remodeling, but there’s a great deal of decorating potential hiding in bathroom windows. 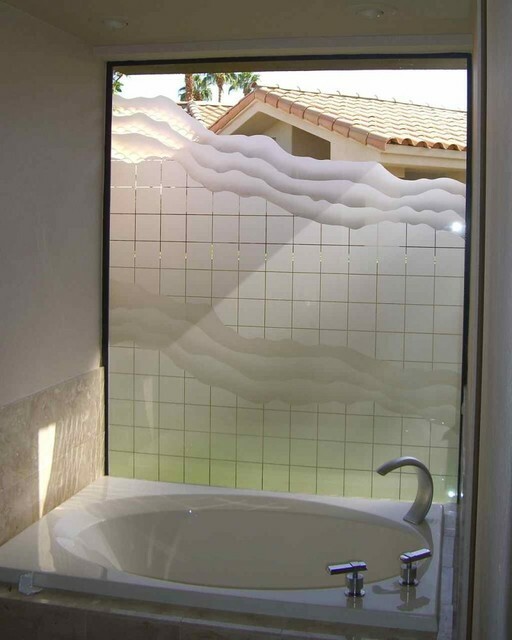 There are many creative ways to enhance your bathroom windows and make them a focal point of your bathroom decor. 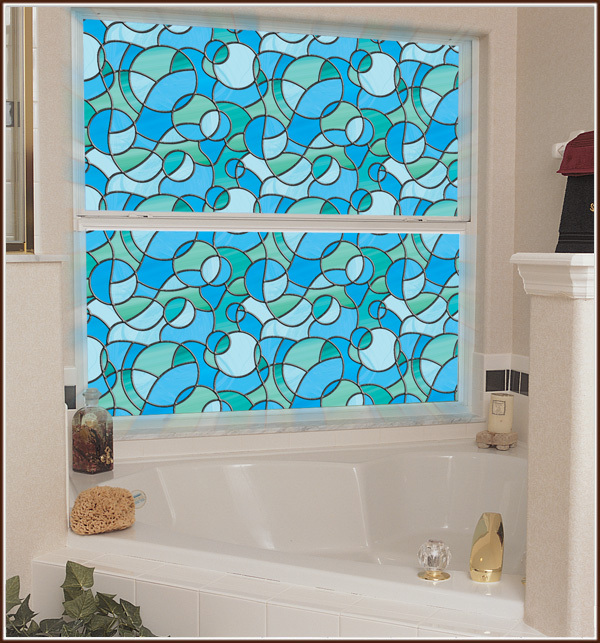 Here are some ideas to beautify your bathroom windows while still protecting your privacy. 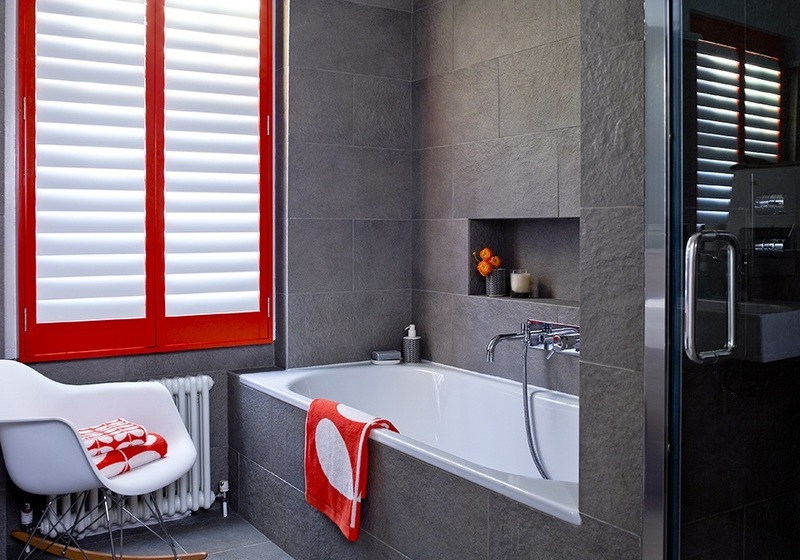 Shutters are a unique way to add strong lines and solid color to your bathroom. 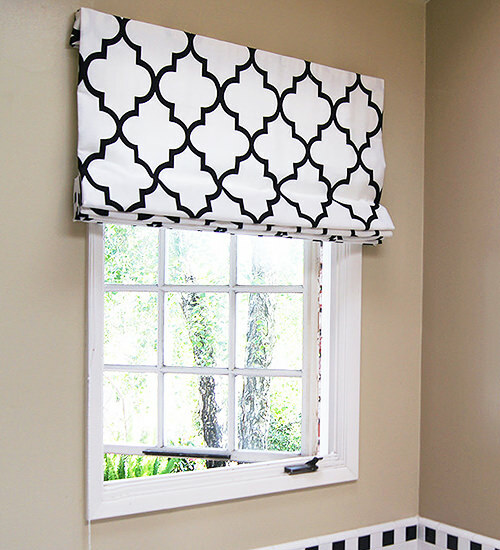 They can be combined with valances for a softer look or used alone for a modern style. 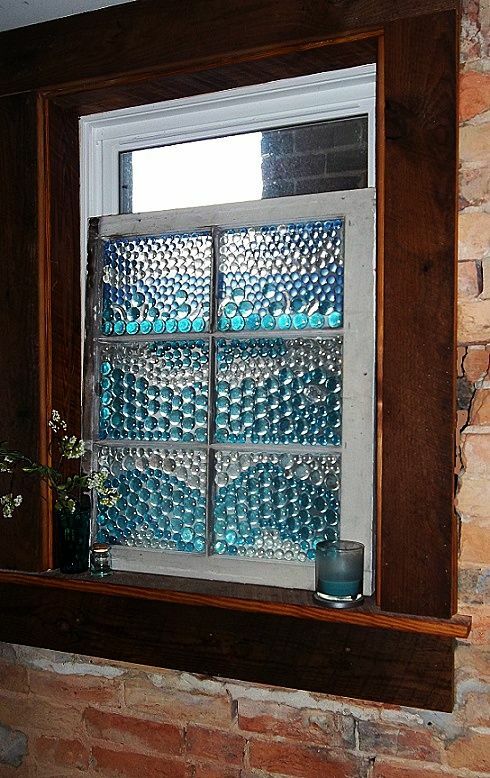 In addition, shutters allow light to fill the space while blocking the view from outside. They are easy to adjust so that you always have the right balance of light and privacy. 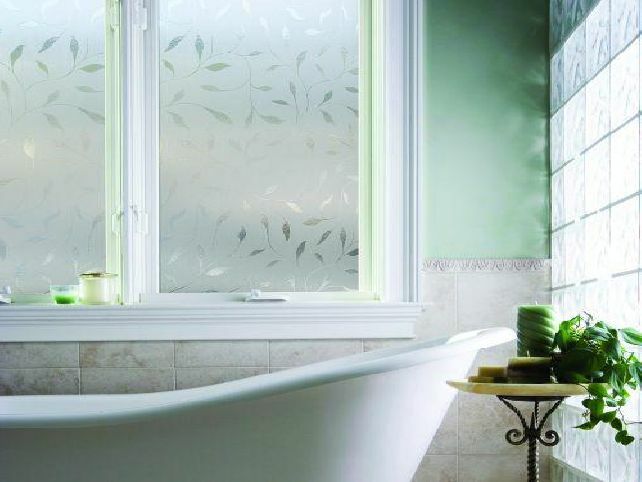 Etched glass is another great option for a bathroom window. It adds patterns for visual interest, and it brings in natural light. 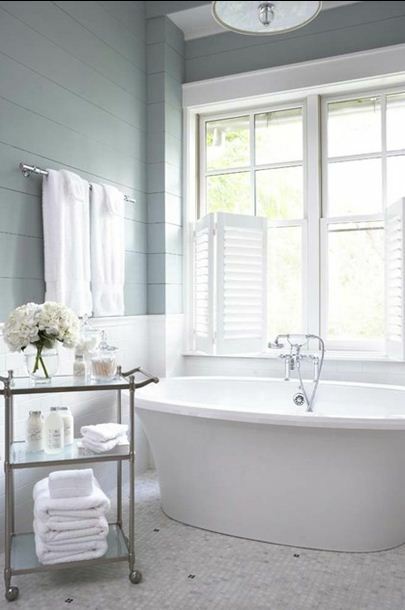 You can choose a pattern to enhance your decor or continue your bathroom’s theme. 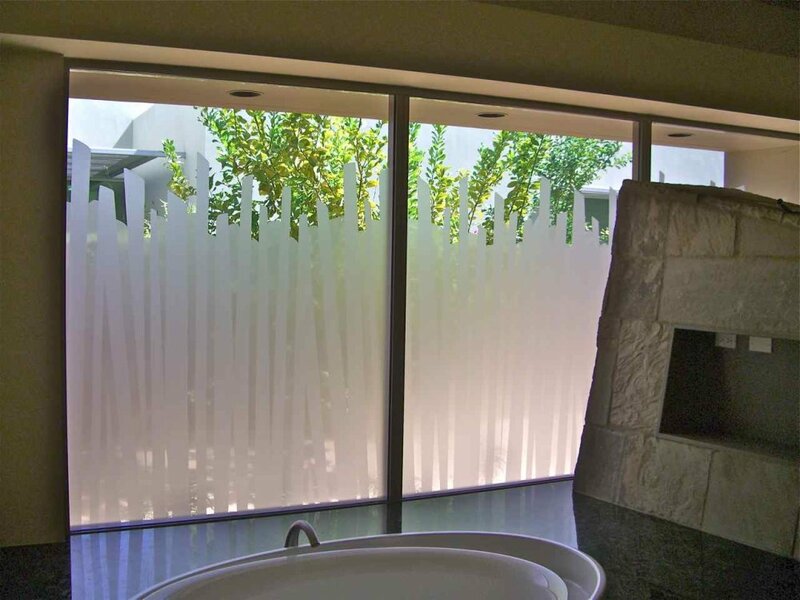 Etched glass preserves privacy but doesn’t obscure your window. In fact, it turns your window into a focal point that other window treatments can’t match. 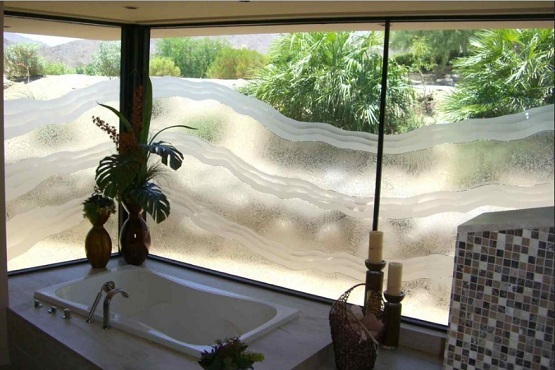 Etched glass preserves privacy but doesn’t obscure your window. Frosted glass film is easy to install and lets lots of light through. There are also etched glass-looking films with images and quotes for your windows. 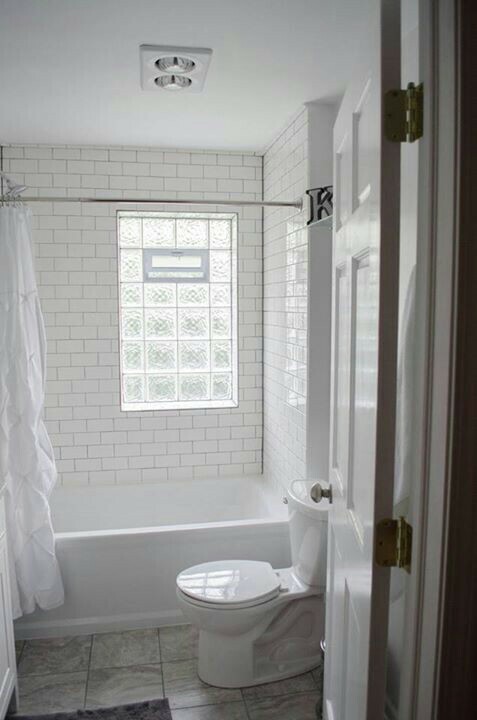 If you are replacing your window or extensively remodeling your bathroom, consider switching a standard window out for glass blocks. These thick blocks protect your privacy as well as better insulate your bathroom. They also add security since they are almost impossible to break. They are water-resistant and easy to clean, which makes them a great choice for a window inside a shower. 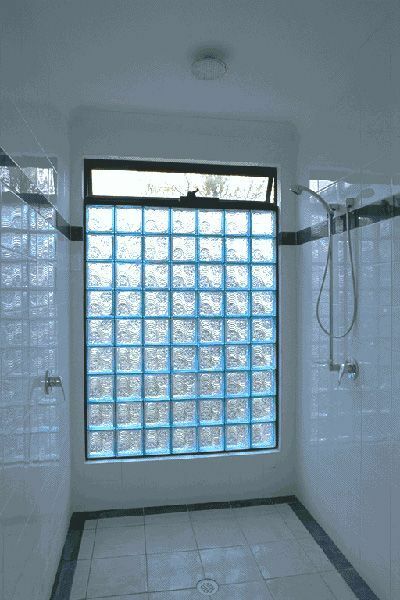 If you are replacing your window or extensively remodeling your bathroom, consider switching a standard window out for glass blocks. You can even combine glass blocks with tiles for a one-of-a-kind look. 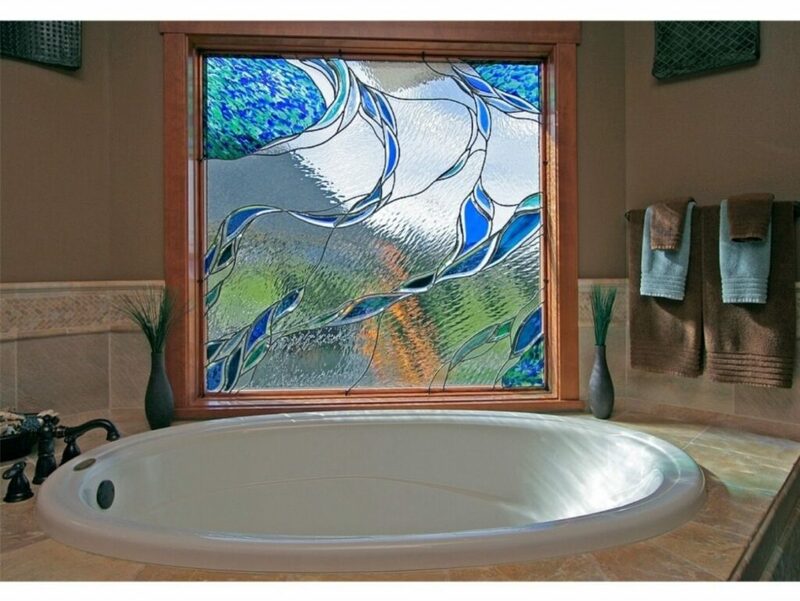 While you may not think of it at first, stained glass is a perfect choice for bathroom windows. Stained glass windows bring light and color into your space. They protect your privacy without the need for curtains. 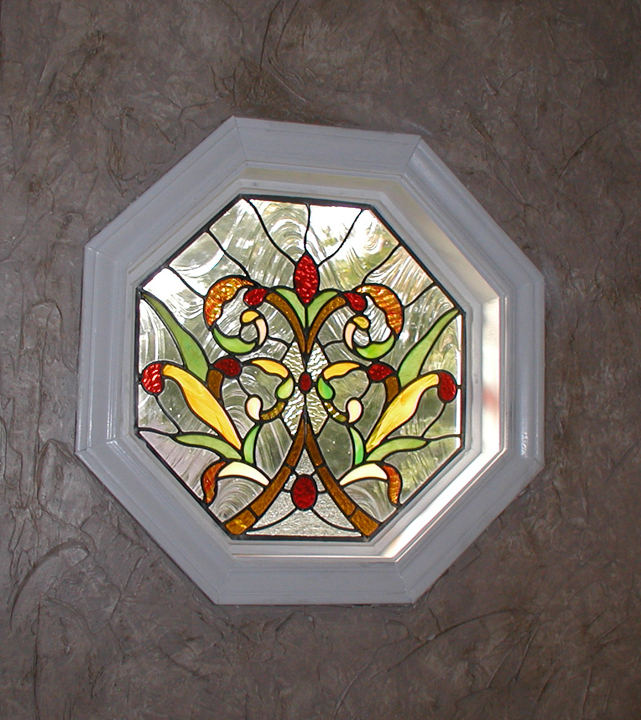 Your stained glass window can be a work of art that stands up to humidity and makes a bold statement. Stained glass windows bring light and color into your space. If you’re looking for versatility, you’ll want to take a look at the many shades on the market today. They can go up and down easily and are a great solution if you need to cover only part of the window and want to leave the rest of it uncovered. They also allow you to completely cover your windows sometimes while leaving them natural other times. 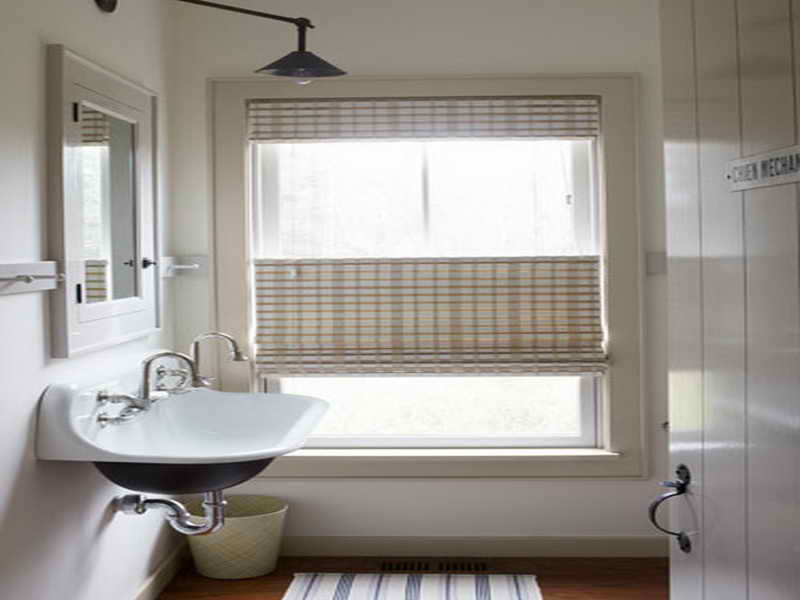 With hundreds of colors, materials and styles to choose from, you’re sure to find shades that fit your bathroom decor as well as your budget.